A truly wonderful apple when well-grown, Golden Delicious arose as a seedling on the farm of Anderson Mullins of Clay Co., West Virginia, in 1912. 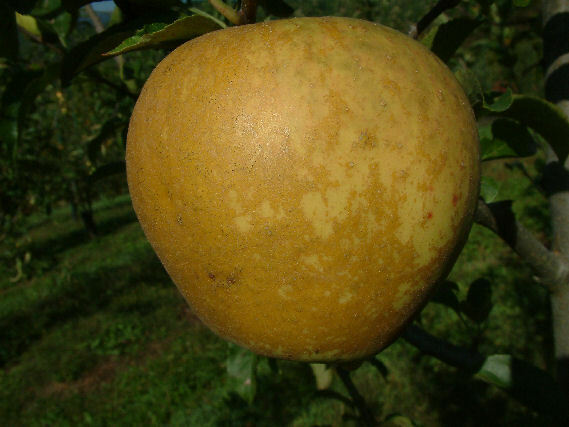 It is believed to be a cross of Grimes Golden, another fine old West Virginia apple, and Golden Reinette. 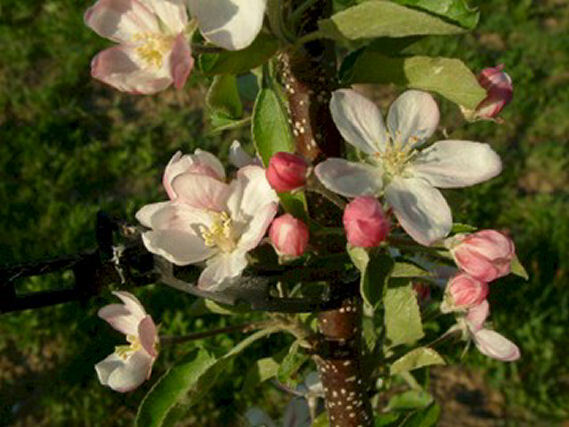 The propagation rights for the apple were sold to Stark Brothers Nursery in 1914 who immediately erected a steel fence around the tree to prevent theft of scionwood for illegal propagation. However, some cuttings were eventually stolen and sold under the name of Yellow Delicious. Fruit is large, conic to round in shape with mostly smooth golden yellow skin with occasional russet patches. The crisp, clean juicy yellow flesh is sweet and mild. A self-fertile tree that is an excellent choice for a pollinator tree. Ripens mid to late September.